Classic and functional, PriceMeNow premium high quality microfiber soft cleaning & storage pouches is compatible with numerous of gadgets : Sunglasses, Glasses, Smartphones (fits IPhone 6 and earlier models), MP3 Players, Make Up, Watches, etc. 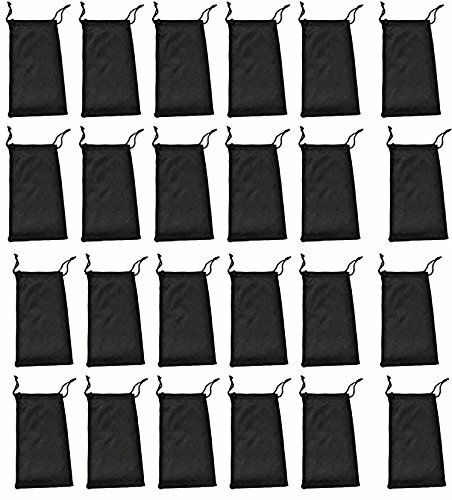 All microfiber pouches are black with a drawstring pull closure. Each pack comes with 36 sunglasses pouches measuring 7" X 3.5". If you have any questions about this product by PriceMeNow, contact us by completing and submitting the form below. If you are looking for a specif part number, please include it with your message.